Hello friends and welcome back to my blog! 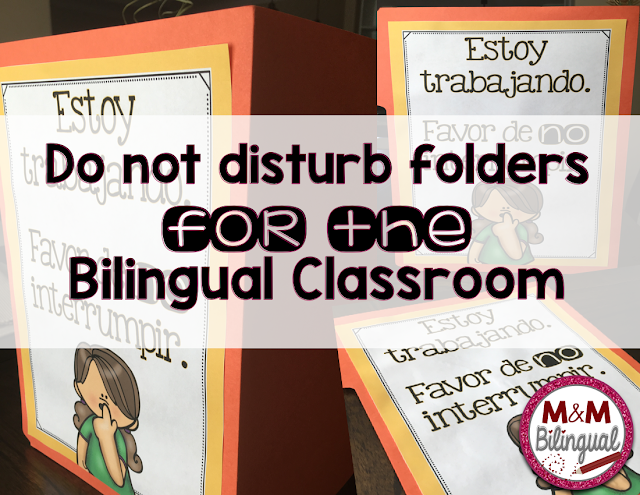 Today I will be sharing a wonderful organization/management tip that has worked with my kiddos: Do Not Disturb Folders! My team teacher introduced me to these my very first year teaching, and I haven't looked back since then. Of course, now they look much cuter. 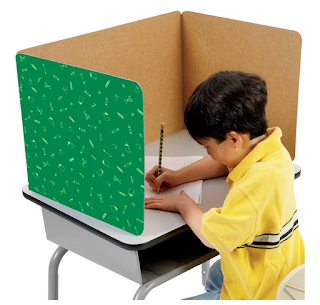 Basically, these create a little office for students when they need to really, really focus on their work (also during state testing)! You've probably seen these at teacher stores or online. Here's a picture of some type of offices teachers use. Back in 2010, my team teacher helped me create these with recycled manila folders and tape. Those were great and lasted several years. I think some are still around. However, I worked on some new ones for my kiddos that have this "Do Not Disturb" sign in SPANISH! 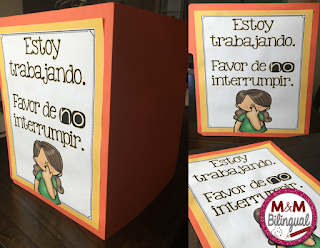 Want to create these for your students? 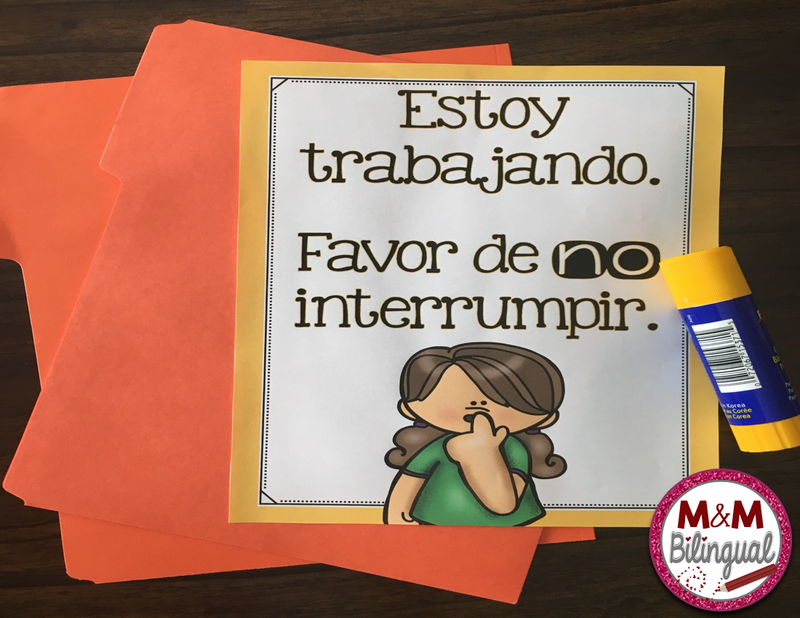 It's fairly simple and will definitely help lessen distractions during independent work time. 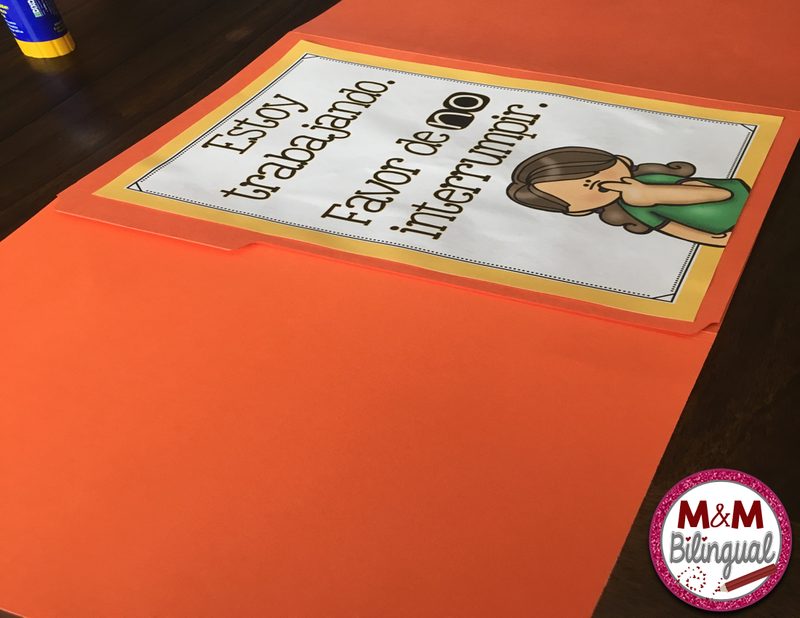 First, you will need two manila folders, a glue stick, and this FREE download from my TpT store. Print it out in color or in black and white as needed. 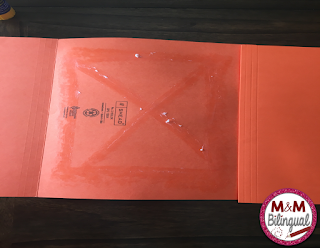 Next, overlap the two manila folders and glue them together to make a trifold. See below. Then, glue the printable on the outside middle cover. Finally, you can laminate them to guarantee they'll last for years to come! Easy peasy huh! Now, create as many as you need for your class. I team teach, BUT only create one class set. 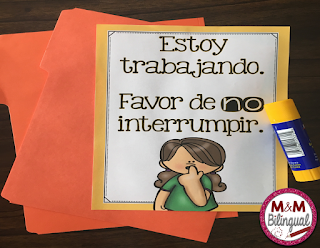 I keep them in a skills box so that students can use them as needed.